Want to delete photos in "from My Computer" album on iPhone 7? Keep reading to get three ways to remove synced photos from your iPhone 7 or iPhone 7 Plus. Download AnyTrans and use it to add, export, and deleted photos from iPhone 7/7 Plus photo library. Now read on to learn how to easily remove synced photos from iPhone 7/7 Plus. We love taking photos with iPhone, especially for iPhone 7/7 Plus users, and the new iOS 10.1 adds the portrait mode to dual-camera iPhone 7 Plus. Besides shooting pictures we also like to sync photos from home computer to the iPhone 7 as wallpaper or share with friends. But with the huge growing Camera Roll and Photo Library, the limited iPhone storage may not allow you to store more media data. Deleting photos from Camera Roll is easy, but it needs some skills for synced photos. In this post, we will show you three ways to delete synced photos from Photo Library in iPhone 7/7 Plus. AnyTrans is an iOS File Management utility for all iPhone users (from the old iPhone 3Gs to the new iPhone 7). It manages photos, music, videos, contacts, messages, notes, and more on your iDevice. Check its main features on photo management and then follow the steps to remove synced photos from iPhone 7. 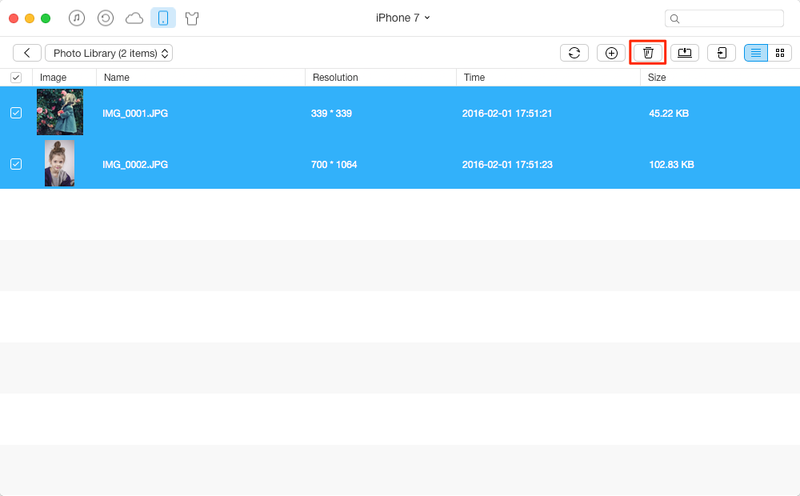 Delete synced photos from iPhone 7/7 Plus in one-click or selectively. Export photos from iPhone 7 to computer or flash drive, and also get photos from iPhone 7 to iPad and vice versa. Import photos from computer to iPhone 7 without erasing previous photo library. 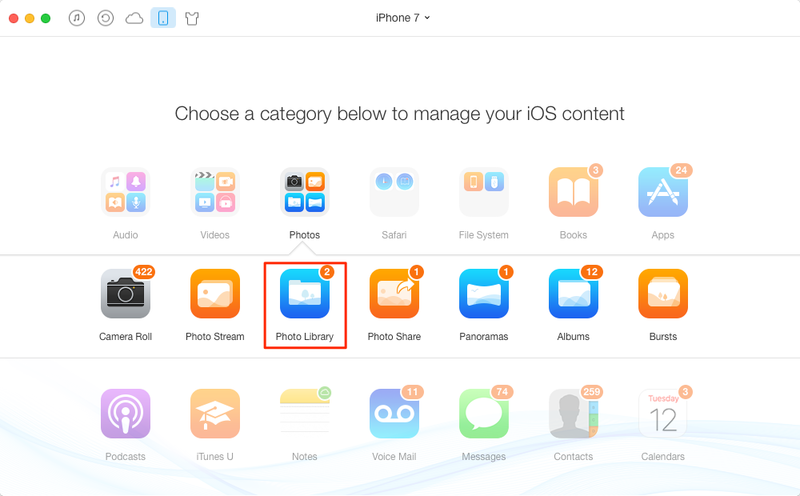 Manage your photos in categories: Camera Roll, Photo Stream, Photo Library, Photo Share, and Albums etc. Step 1. Download AnyTrans on PC or Mac, and run it, connect with your iPhone 7. Click the button at the right hand or scroll down to manage your iOS content by categories. Step 2. Choose Photos and select Photo Library where stores your synced photos on iPhone 7. Step 3. You can select all or multiple photos, and click the Trash Can button. 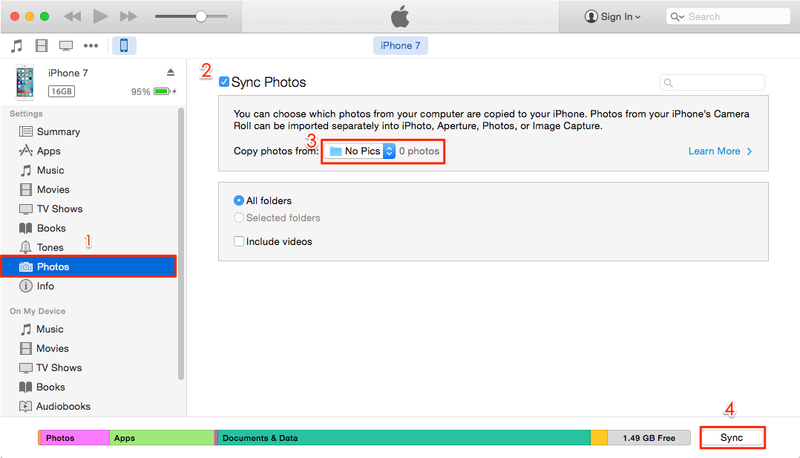 Every time you sync photos with iTunes, it will erase previous photo library on your iPhone, thus you can replace the previous synced photos by syncing No photos with iTunes. Step 1. Create a new folder and don’t put any photos into it. Step 2. 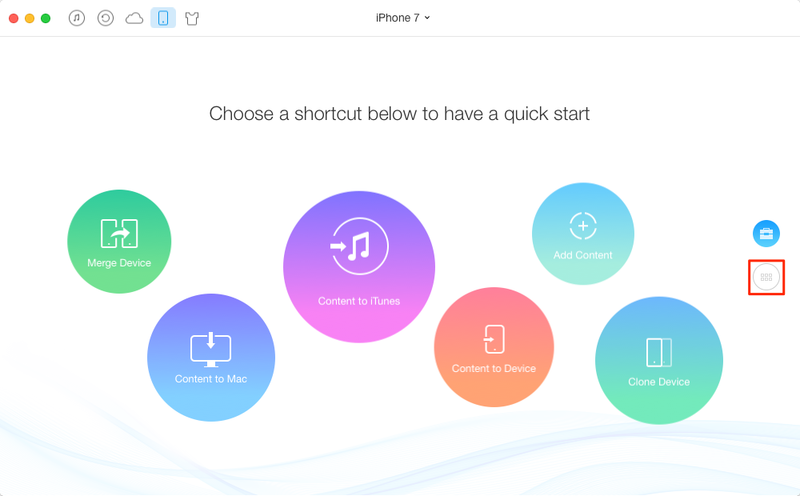 Run iTunes and connect with your iPhone 7. Click the Device button. Step 3. Choose Photos > Sync Photos > Choose folder… > Select the empty folder you just added > You will see "0 photos" option > Click Sync. 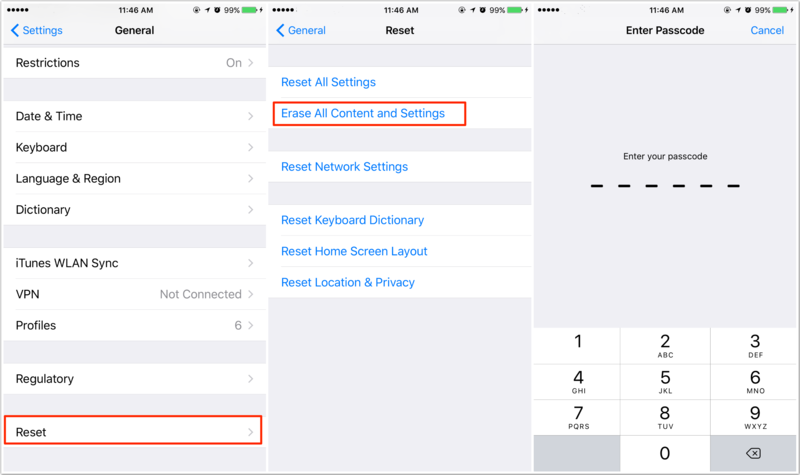 You should use this method with great caution because resetting your iPhone 7 will not only delete synced photos but also ALL of the data from your device, including songs, videos, contacts, calendar information, and anything else. Step 1. Open Settings > Tap on General. Step 2. Scroll to the bottom and tap on Reset > Tap on "Erase All Content and Settings". Step 3. Enter your iPhone's lock code and tap OK to erase everything.